This October, Pangdemonium is proud to celebrate the 20th Anniversary of revolutionary rock musical, RENT. Winner of the Tony Award for Best Musical and the Pulitzer Prize for Drama, this unforgettable and timeless story of a group of friends, who despite poverty and illness, learn to fall in love and find their voices, will anchor Pangdemonium’s 2016 Season of Love. “RENT is one of those very rare modern musicals that resonates profoundly with people across ages, and across generations. Full of heart, honesty, and passion, RENT still has the ability to move and inspire people with the power of its music and timeless message of community, life-affirmation, and most of all, love. We are very thrilled to be celebrating the 20th anniversary of this wonderful musical”, say artistic directors Adrian and Tracie Pang. Directed by Tracie Pang, RENT also features Cheryl Tan, Andrew Marko, Siti Maznah, Seong Hui Xuan, Venytha Yashiantini, Erwin Shah Ismail, Crenshaw Yeo, and Oliver Pang. With memorable characters, an inspirational story, and music that will make your heart sing, RENT is theatre at its best- exuberant, passionate, and joyous. Tickets go on sale from 5 August 2016 on SISTIC. 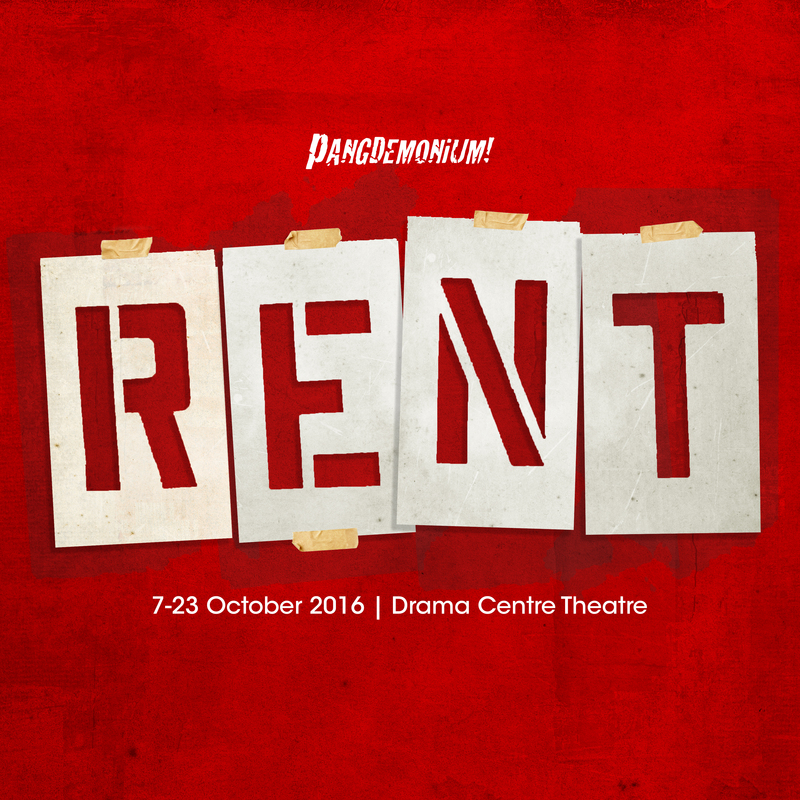 RENT runs from 7 to 23 October 2016 at the Drama Centre Theatre.